After missing the playoffs for five consecutive seasons, the Denver Nuggets will be back. Leaders of the Western Conference Midwest Division, the Nuggets have the second best record in the Western Conference and have already already clinched a playoff spot. Only Golden State, at 54-24 has a better record. Through the regular season, the average asking price for a Nuggets home game was $139, a 4% decrease over 2017-18, according to secondary ticket marketplace TicketIQ.com. That price was No. 18 across the NBA in terms of average asking price. Primary market tickets go on sale next week via AXS. 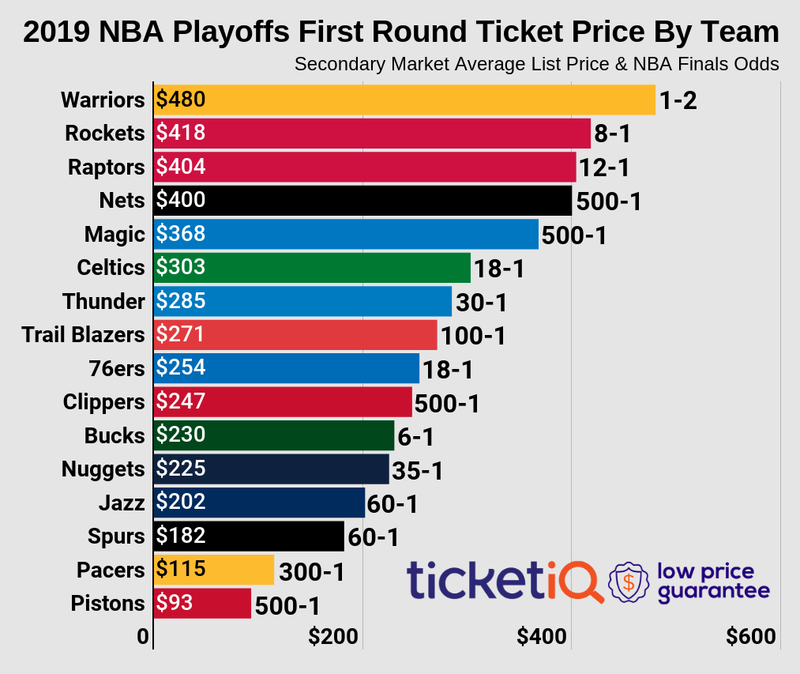 For the playoffs, fans should expect to pay more – according to TicketIQ.com, postseason tickets generally cost 54% more than regular-season tickets. Shoowin.com offers fans a chance to get postseason tickets at face value. The company allows fans to reserve face-value tickets for big events and then purchase tickets when the event becomes available. According to the company website, fans can save up to 98% over other ticket-selling sites. With the playoffs set to start on April 13, Shoowin has reservations for all potential Nuggets playoff games after the first round. For the Western Conference semifinal games, reservations start at $52 for home Game 1 and rise steadily to $85 for potential home Game 4. For the Western Conference finals, reservations are available for as little as $10. And should the Nuggets get to the NBA Finals, fans can hold tickets for as little as $26 for home Game 1 and as much as $35 for home Game 4. The Nuggets have never advanced to the NBA Finals. The deepest the Nuggets have ever gotten in the playoffs is the Western Conference finals, most recently in 2008-09, when they were swept by the Los Angeles Lakers, who went on to win the NBA title.The Nuggets last playoff appearance was in 2012-13, when they lost to the Golden State Warriors in six games.